On January 19, 2018, the Standards Alliance in partnership with AdvaMed organized a 1-day Workshop on Regulatory Convergence and International Standardization” at AdvaMed’s Washington, DC office. As part of this initiative, 11 representatives from the Colombian National Food and Drug Surveillance Institute (INVIMA), attended in-person meetings in New Jersey and Washington, including a roundtable meeting with AdvaMed and ANSI to review both the results to-date of the Standards Alliance project, as well as, to address select regulatory topics that could benefit from increased regulatory convergence. In the past several months, the Standards Alliance had been working to increase the use of International Medical Device Regulators Forum (IMDRF) documents and international standards by medical device regulators in Latin America. As a component of this initiative, the Standards Alliance encouraged medical device regulators, particularly from Colombia and Mexico, to be more engaged in the International Medical Device Regulators Forum (IMDRF) work. 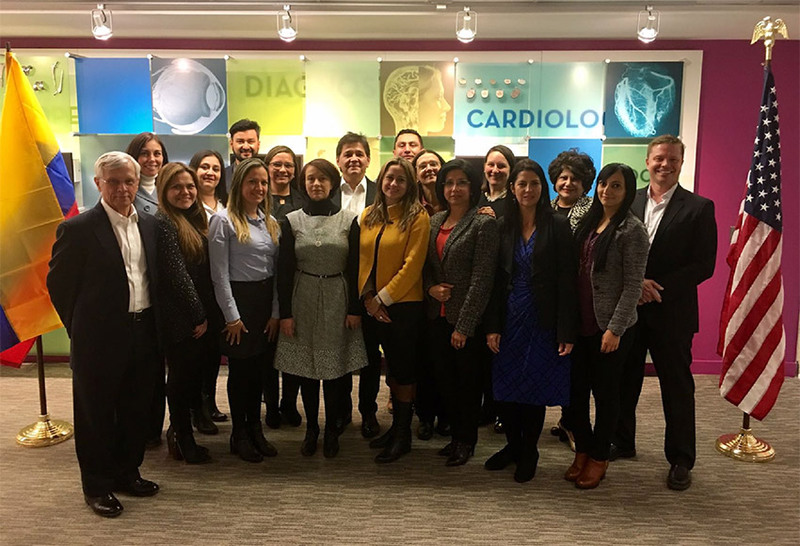 After holding regional workshops with the Pan American Health Organization (PAHO) in September, and working in conjunction with the Colombian counterpart medtech association ANDI-CDMIS, the Colombian MD regulatory agency, INVIMA agreed to participate in the Standards Alliance initiative and send a delegation for the January 19 workshop. More than 25 people representing U.S. public and private sector organizations attended the workshop. U.S. speakers represented the U.S. Food and Drug Administration (FDA), ANSI, AdvaMed, Johnson & Johnson, the Association for the Advancement of Medical Instrumentation (AAMI) and ASTM International. Speakers from Colombia included public sector participants from INVIMA. Presentations from Colombia provided an overview of Colombia's health standardization, medical device regulations, and INVIMA's experiences in premarket surveillance. Presentations also focused on topics in medical device regulation that can benefit from increased regulatory convergence and use of international standards.